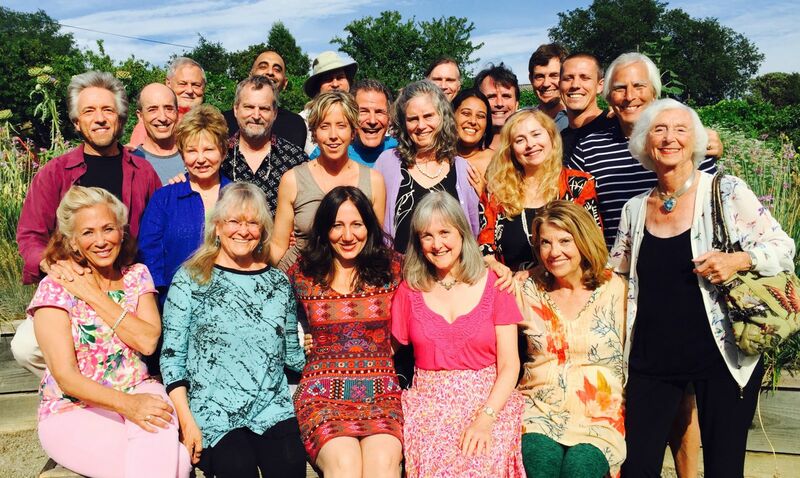 Deep in the hills of northern California, the Source of Synergy Foundation gathered 24 Evolutionary Leaders in retreat at the end of June 2015. 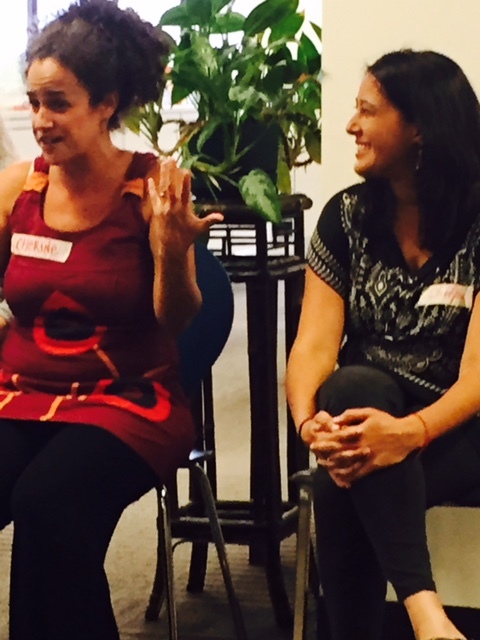 Members of the circle have been coming together since 2008 to share deeply about their lives and work. 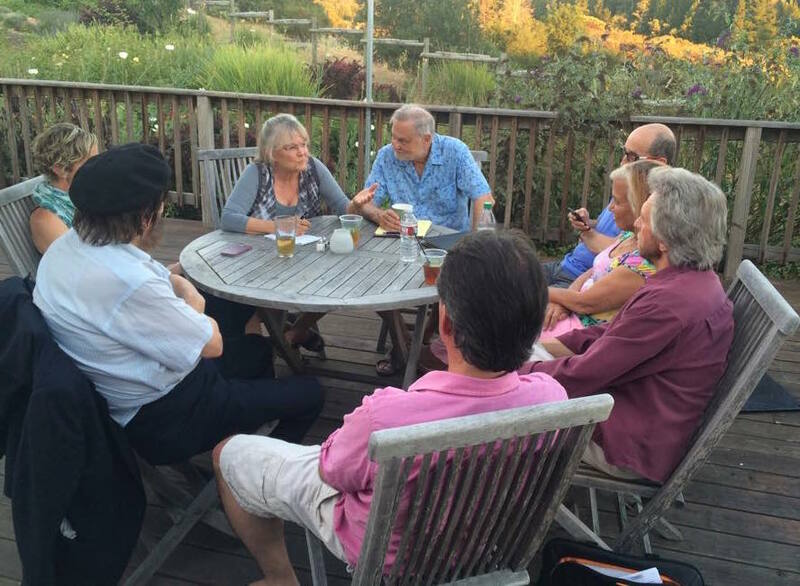 Each year, the sense of community deepens and its members leave refreshed and renewed in both their individual work and our shared visions for the future. Over the course of our four days together, the ELs stepped together into the next level of our collective engagement – the evolution of the Evolutionary Leaders – living into the evolutionary edge of ourselves, our community, and our world. We are a network of people who feel deep caring and a sense of urgency about the state of our world; and who each dedicate our lives and work to expressing a passionate commitment to both the inner work of human transformation and the outer work of social transformation. We come together to catalyze and contribute to the evolution of one another and everyone whose lives we touch, and to magnify our ability to be of benefit. We aspire to pioneer the processes by which evolutionaries themselves continually evolve – holistically, personally and in our service to all life. 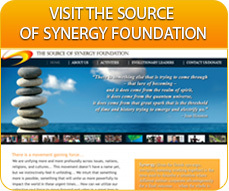 We are committed to mentoring, coaching, inspiring and loving one another dynamically. Our convergence helps us, individually and collectively, to become more and more authentic, aligned, humble, cooperative, courageous, vulnerable, co-creative, innovative, and effective. Our engagement with one another inspires synergistic collaborations in self-organizing partnerships, in service to the emergence of a movement for the conscious evolution of humanity. 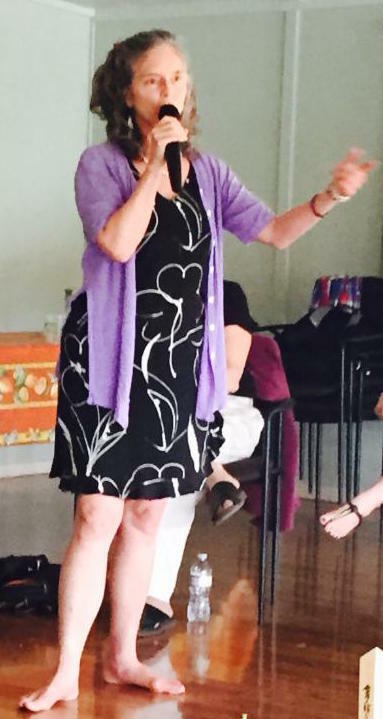 In the wake of the profound 2015 EL (Evolutionary Leaders) Retreat at Mayacamas Ranch, three EL-driven organizations - Generation Waking Up, Yes!, and the Source of Synergy Foundation - collaborated with two like-minded organizations, the Berrett-Koehler Foundation, and Wiser Together, to convene a unique multigenerational leadership exchange in Oakland last month. 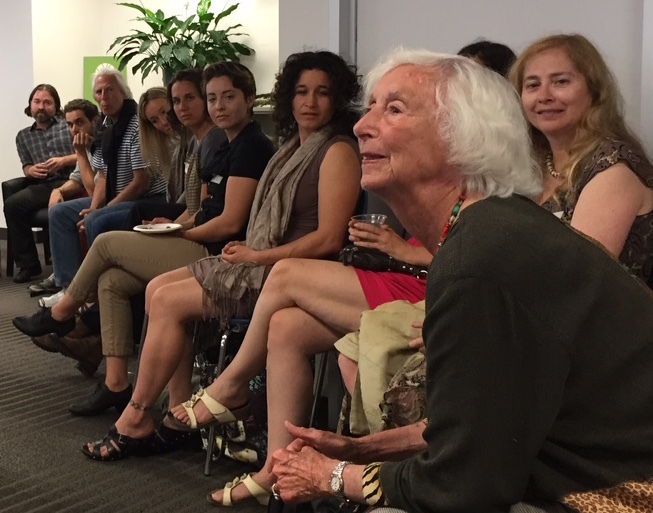 A group of 30 emergent Bay Area social change leaders and established members of the Evolutionary Leaders circle came together to connect and explore what we might learn from one another and how we might work together in service of a better world. The eve commenced in circle, each attendee offering a glimpse into what they care about. Then we explored our common ground through a process used by Generation Waking Up and Yes!, allowing all of us to share vulnerably about our experiences, fears and dreams as emerging and established evolutionary leaders. We indulged in a delicious locally sourced meal and spent the rest of the evening in deep dialogue discussing our stories, successes and challenges in evolutionary leadership. Our time together culminated in heartful song. It was a nourishing convergence that fed the souls of youngers, olders and elders alike. Our time together elucidated the unmistakable truth that each of us has an integral role to play in our collective awakening and healing, and that we are indeed much wiser together! The root of the horror of a young person killing his neighbors in a bible class cannot be found in the young person. It can be found in ourselves, if we look. What do you feel about these killings? Is it anger, sorrow, helplessness? If so, you will discover uncomfortable or painful physical sensations in your body - especially in your chest, solar plexus, or throat areas. These are experiences of fear. Is it compassion or appreciation (for example, for the compassionate response of the grieving families)? If so, you will discover pleasing or good-feeling physical sensations in your body in the same areas. These are experiences of love. Only perceptions of love are true. Perceptions of fear are distorted. The young person perceived through fear. His neighbors appeared to him as less than himself and without value. Do parts of your personality perceive this way, too? For example, do any of them become angry, jealous, impatient, or judgmental of others? The actions of the young man are showing you these parts of yourself. Are parts of your personality grateful without reason for people in your life? Do they see beauty in each soul, including those that act in fear? The choices of the loving families of those who were killed are showing you these parts of yourself. Which parts of your personality do you intend to cultivate? Which parts do you intend to challenge? Only you can decide. When you choose to act in love, no matter what his happening inside you and what is happening outside, you create authentic power. That is how to grow spiritually. "Partnerships for Peace -- Dignity for All"
Evolutionary leaders around the world are taking the opportunity of the International Day of Peace, adopted by all countries of the United Nations on 21 September, to build peace, pray for peace and celebrate peace. A special event will take place on the Shift Network (founded by Stephen Dinan) culminating the Summer of Peace series on September 21st live from the United Nations from 1:00-2:00 pm Eastern time, featuring Evolutionary Leader Deborah Moldow, co-chair of the International Day of Peace NGO Committee at the United Nations, and Source of Synergy Foundation board member Rick Ulfik, founder of the 11 Days of Global Unity, as well as former UN Under Secretary-General Anwarul K. Chowdhury, a leader of the global movement for a Culture of Peace. Information on the International Day of Peace can be found on the United Nations website at www.un.org/peaceday. For events around the world, see the International Day of Peace Facebook page (#PeaceDay). 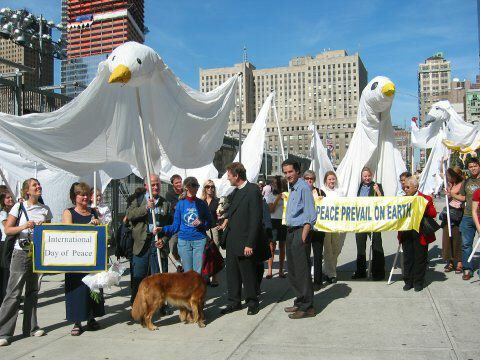 For a range of suggested events for your community, see Peace Day Philly. 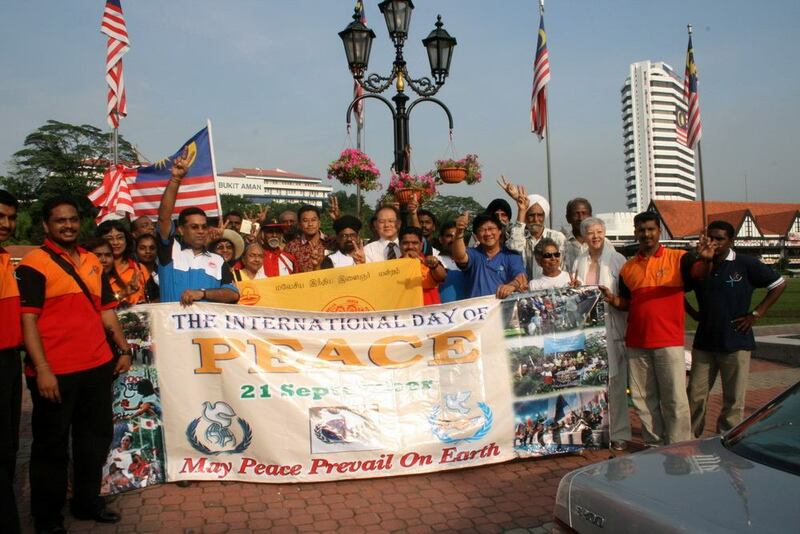 Post your event at www.internationaldayofpeace.org! 21 SEPTEMBER AT 12 NOON. When Are Our Institutions Going to Change? And why do so many of our institutions, from health care to banking, all seem to be failing at once? These institutions were founded to support, enhance and complement the structure of civilization based on prevailing beliefs of that time. Where once these beliefs adequately addressed the perennial questions, their answers are no longer accurate. As science is telling us, life operates as an entangled whole, not merely as separate parts. Consequently, the failure of our institutions to integrate new understandings is system-wide, and so all systems seem to be failing at once. As we are seeing particularly in the above-mentioned institutions, patching up the old system cannot work. Because there has been a change in the core beliefs of society, fundamental systemic change is required. We are on the verge of a planetary metamorphosis. This metamorphosis could be described quite simply – it is the story of the caterpillar and the butterfly. The old forms falling apart all around us, that is a healthy and necessary part of the transformative process. Meanwhile, there is a butterfly being born, an amazing “flying machine” that will allow humanity to truly soar above anything it was able to accomplish as a crawling caterpillar. Interestingly, the caterpillar and butterfly have the exact same DNA. They are the same organism! The only thing different is the signal each is receiving. The new beliefs we are adopting based on more accurate information is providing the new “signals” that will usher in our spontaneous evolution. Did you ever wonder how Lynne Twist became a leader of the Hunger Project, co-founder of the Pachamama Alliance, founder of the Soul of Money Institute, award-winning author and one of the most successful fundraisers in the world? Find out in 3 1/2 minutes by watching this unique "Micro-Documentary" about her life. Lynne recounts the are three toxic myths of scarcity; 1) There's not enough, 2) More is better, and 3) That's just the way that it is. The radical surprising truth of sufficiency is that "there is enough of everything, everywhere for everyone to have a healthy and productive life." She learned from Buckminster Fuller that "we are moving from a you or me understanding of the world, to a you AND me understanding of the world." "Philanthropy" means "love of humankind." In a world were people understand sufficiency we will thrive and everyone will experience prosperity, not because of accumulation, but because of what we share with each other. 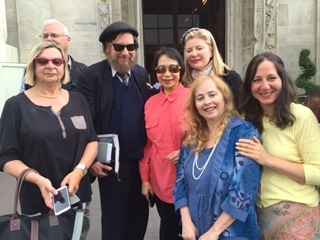 We had the great pleasure to again stand before the Holy Shroud of Turin on May 26th, 2015. Joining us this time at the Cattedrale di San Giovanni Battista in Turin, Italy was Diane Williams, President of the Source of Synergy Foundation. Over 100 members of The Academy For Future Science were also present mainly from Europe and other parts of the world, along with several friends from the UN community, including Audrey Kitagawa and Michele Antaki. The Shroud has amazed people for centuries with the image of The Christ figure uniquely imprinted onto the fine, film layer that covers the linen cloth. Knowing several of the NASA scientists who studied the cloth in the past through image enhancement, most believe it is a genuine artifact from 2,000 years ago. They say that what we are seeing is the actual face and image of the embodiment of Jesus as he transformed himself through bio-physical means after death becoming a body of Light. On a personal level, this is an indication of the Christ potential hidden within each of us. 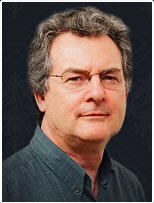 For more than three decades, Duane Elgin has been in the forefront of exploring humanity's evolutionary journey, sustainable ways of living, media accountability and citizen empowerment, and the convergence of the new science with the world's wisdom traditions. 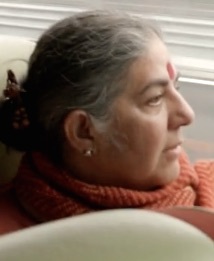 Navdanya is a network of seed keepers and organic producers spread across 18 states in India [founded by Vandana Shiva]. It has been fighting for the rights of the farmer and seed freedom for 25 years. Today, we find ourselves at a crucial point, not just in terms of a movement committed to resisting biological and ecological destruction, but also in the presence of a network of ‘living’ and thriving economies. The Living Seed is the first of the Living Farms series explores these questions, looking at five specific aspects of farming - Seed, Soil, Food, Fibres and Farmers. Produced by Navdanya with the support of Fred Foundation, the films are based on the testimonies of farmers, seed savers, agronomist and scientists from across India, as well as from indigenous farming cultures abroad. A companion video, The Living Soil, is also available. 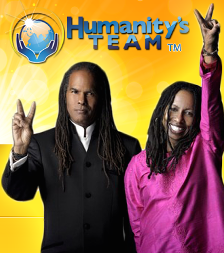 Humanity’s Team, a global initiative to promote a worldwide culture of Oneness with the Divine and each other, bestowed its Spiritual Leadership Award to internationally renowned Evolutionary Leader Rev. Dr. Michael Bernard Beckwith and Rickie Byars Beckwith at Sunrise Ranch in Colorado on May 19. This was the first time this prestigious award was presented to a couple. Michael, a highly regarded spiritual leader and inspirational speaker, is Founder and Spiritual Director of the Agape International Spiritual Center in Culver City, CA. Rickie serves as the Music and Arts Director of the Agape International Spiritual Center, where she directs the 200-member Agape International Choir. Together, their powerful partnership and collaborative talents manifest worldwide messages of peace, love, service and racial diversity in the form of worship, song, authorship and activism. The Spiritual Leadership Award has been awarded only seven times. 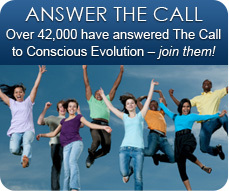 Recipients included Evolutionary Leaders Neale Donald Walsch in 2005 and Barbara Marx Hubbard in 2013. Emerge! 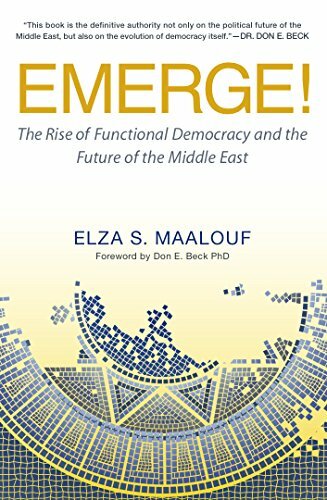 The Rise of Functional Democracy and the Future of the Middle East (Select Books), by Elza S. Maalouf, was awarded the 2015 Bronze Award for Current Events for the Independent Publishers. It was alsofirst runner-up for the Culture category of the Eric Hoffer Award for Independent Books that recognizes superior work by debut authors. of maturity and organization, she hopes to offer practical solutions to the complex issues that face this embattled region. 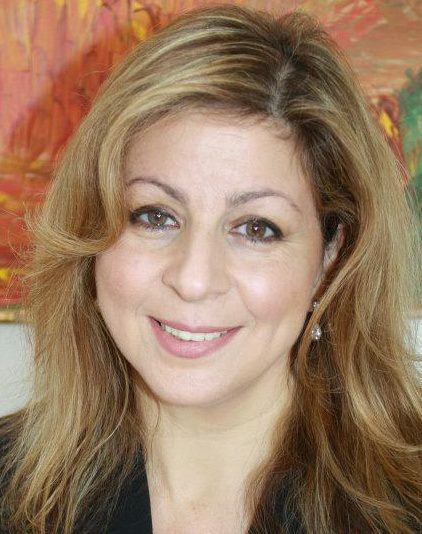 A lawyer and native of Lebanon, the author gives a non-partisan view of how governments in both the past and present range from reactionary tribal dictatorships to forward-thinking democracies; how they function, rise, fall and most importantly can be changed. Maalouf shows the different psychologies and methods and gives the reader keen and thought-provoking insight into societies and governments of all kinds, not just in the Middle East. Whether or not you agree with all its points and details, this is an eye-opening look at the Middle East. Most breakups are filled with tremendous amount of animosity. Yet there is another way – one filled with mutual respect, kindness, and deep caring. In her new book, Conscious Uncoupling: 5 Steps to Living Happily Even After, bestselling author and licensed marriage and family therapist Katherine Woodward Thomas offers a blueprint for how to breakup better. This groundbreaking book provides five thoughtful and thought-provoking steps to help you not only heal from heartache but to create a brighter future for yourself and all involved than you ever imagined possible. 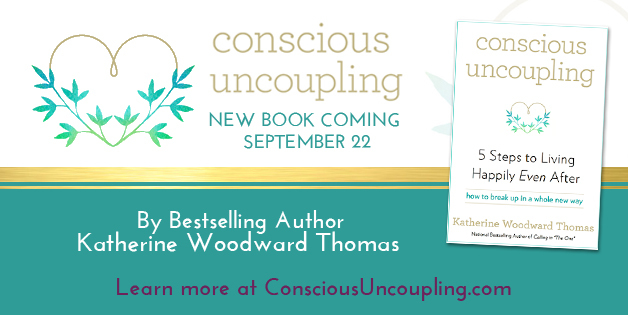 Conscious Uncoupling Book from Katherine Woodward Thomas on Vimeo. I'm excited to share my new podcast with you today. 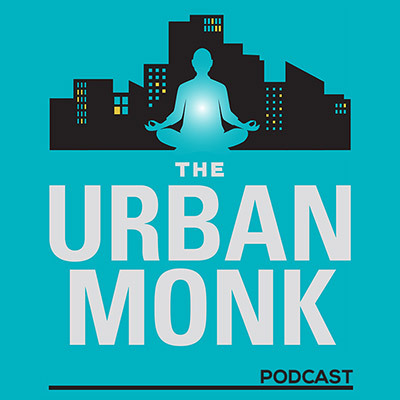 I've decided to keep The Health Bridge for more general health and medicine content and expand into The Urban Monk for more free-form conversations about life, the environment, spirituality, and how we can all thrive together. 1- David Wolfe: how to clean up the toxins around your home to stay healthy. Did you know that 90% of the pollution we're exposed to is indoors? 2- Nick Polizzi: the trial and challenges of being a new dad. We get raw and personal about how life changed for two busy guys who now have kids. 3- Kaia van Zandt: how gender issues permeate our culture and the history of the Goddess. You'll be surprised how many famous women were mentioned in the history book she shared with me. 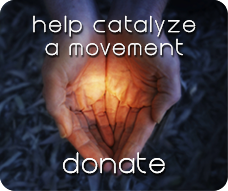 We're making a movie to support this message...listen and chime in! 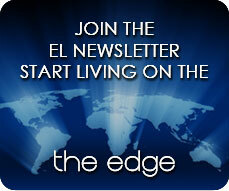 You can get the audio mp3's from iTunes or watch the video podcasts on Youtube. Click here to check out The Urban Monk! The conscious activist is a significant player in the work of social transformation because there is a radical commitment to stand in a power that is totally transparent--no hiding, no inflating, no discounting. One can only manifest power in this way if one has developed a mature inner life, for it is only through spiritual insight that ego’s grip on false power can be dissolved. 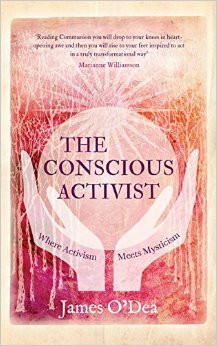 The conscious activist realizes that power is an expression of energy and insight; no one owns it. Any use of energy or intellect to dominate others is an obstruction of the natural justice of the universe. Power optimizes when it is in reciprocal flow. When faced with destructive and corrupt concentrations of power amassed to dominate and exploit others, the conscious activist must mobilize shared power, move from conformity to consensus, encourage creative participation and mirror oneness. I do not imply that recalcitrant power over will not continue to inflict severe pain and wounding but that the future belongs to the mass expression of power with. 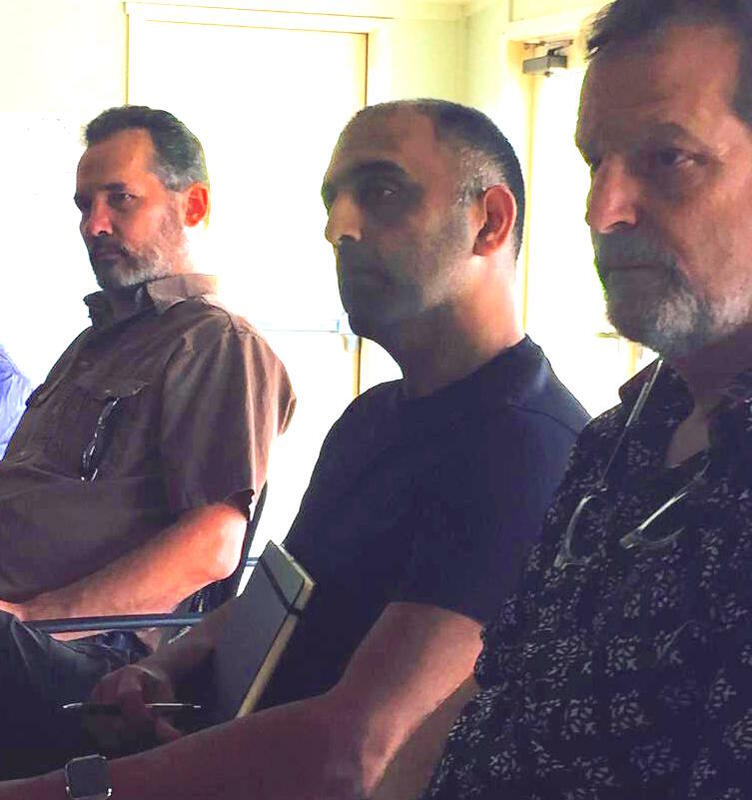 Charles Gibbs was invited to Yogaville, the Satchidananda Ashram in Virginia, on June 6, 2015. His talk was livestreamed and can be seen below. Charles speaks movingly of his impressions when he met Satchidananda, expresses his own life through poetry, and shows a beautiful short slde show showing members of the United Religions Initiative around the world. He titled his talk "My Life is My Message," from a quote by Mahatma Gandhi. Watch the above video for a profound reminder of the oneness of humanity. Howard Martin on "The New Science of Heart-Connected Living"
CLASS host Vicki Howie recently interviewed Howard Martin talking about The New Science of Heart-Connected Living. 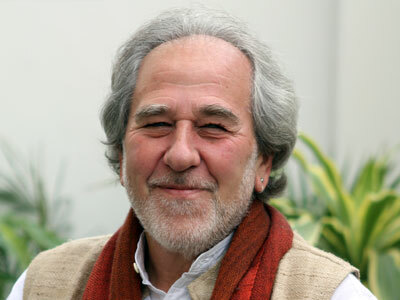 In this in-depth interview, he shared his insights and inspiration about the transformation of humanity, our planet and a newunderstanding of love, practical intuition and the energetic connection between all living systems. 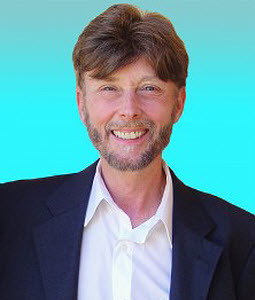 Howard Martin is one of the original leaders who helped Doc Childre found HeartMath, with whom he co-authored The HeartMath Solution, considered to be a classic and the definitive work on the intelligence of the heart. Howard played a key role in launching the science-based Global Coherence Initiative to help activate the heart of humanity and promote peace, harmony and a shift in global consciousness. Time to downshift…finally? My son Justin just turned 46 years old. Exactly 20 years previously he and I wrote an article together about downshifting. It brought tears to both of us when we reread it on his birthday. In the 20 years since penning that article Justin got married and had kids necessitating an upshift to support a family. I kept right on working hard, but now I’m ready to work a little smarter, play more often, and downshift while still bringing my gifts and passion to the world. I was talking to a friend the other day, a person who like me has spent her adult life learning and teaching the healing arts. We were reflecting on the emptiness of having achieved the American Dream. At midlife we agreed we were healthy, relatively wealthy and supposedly wise. We’d done in well in school, earned advanced degrees, published in our respective fields, given back something of value to society, had loving relationships and lived in comfortable circumstances. But in spite of these accomplishments we both admitted to feeling like rats on a treadmill, reacting to endless demands while lamenting a dearth of the most valuable of life’s treasures – time. Despite sincere attempts to meditate, to practice mindfulness, to be “spiritual” we were feeling frazzled. Like good little troopers we had gone full speed ahead to find the Promised Land. When we got there we found that it was a desert. My son Justin is 26 years old, a member of the mysterious “Generation X”. Since the X’ers are widely believed to have less economic hope than their parent’s generation, they represent a pivotal point in American history. 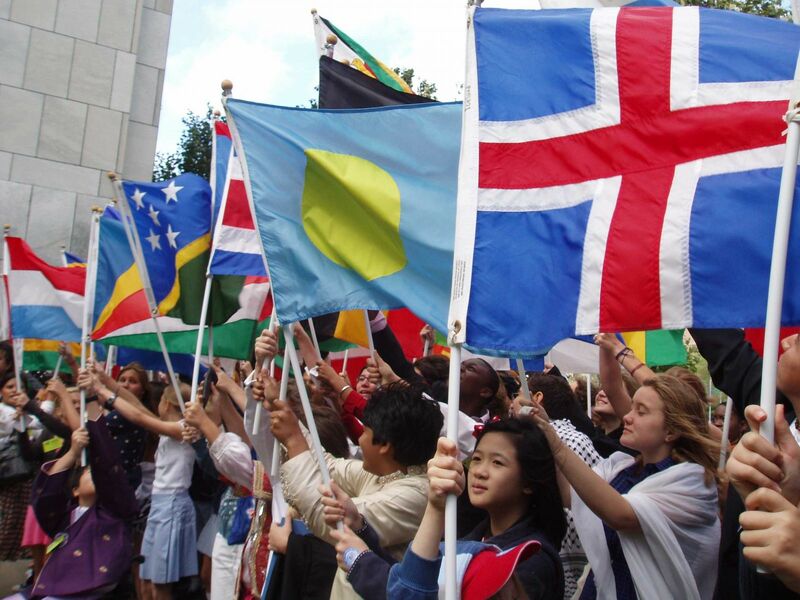 They can either wave the flag of despair or redefine success in a way that may ultimately help save our troubled world. Justin is doing the latter. With blond hair, green eyes, broad shoulders and a ready smile, he was and is “Mr. Personable”. As a teen he made more money in an after school sales job than I first made as an assistant professor at a medical school. By eighteen he drove a Mazda RX-7 purchased with his own money, had occasional stress-induced high blood pressure and had started on his bachelor’s degree in business. By twenty-one he was already beginning to sense the shadow of the wasteland behind the glitter of material success. Instead of going for his MBA or beginning a job in management after college, Justin took a job as a waiter. This has given him time to think, to ask the big questions that many of us are too busy to ponder until crisis strikes or, God forbid, we find out that we have a life-threatening illness. What is a life well lived? 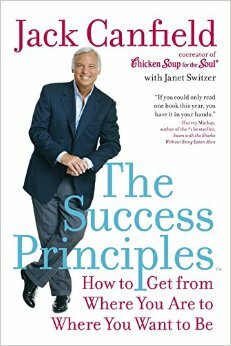 What is the measure of success? What are the most important values in life and are we living our life in accord with our most deeply held beliefs? A few months ago Justin called to say that he’d heard an interesting report on National Public Radio about a sociological phenomenon called “downshifting,” a voluntary move toward simplicity that yielded less money but more time. He commented that what is called downshifting in my generation is called laziness in his. Intrigued, I asked him to write about his observations. Here is his report. “Americans are making a new discovery. It is called downshifting. The process involves slowing down the pace of one’s work life making more “free time” but usually less money. The people who decide to downshift have decided that money and work are not what they want to live for. Downshifters have decided to disregard societal pressures and they are finding themselves wealthy in ways having nothing to do with money. Brian, a friend of mine who is a part-time real estate salesman, says that his goals involve time outdoors, fishing and working out. He said, “I want to make as much money as I can in as few hours as I can. The rest of the time I want to be outside.” I have personally made the decision to work four nights a week as a waiter. Free time is filled with surfing, reading, playing the guitar and spending time with my community of friends. In our society making the decision to downshift can be a tough one. The pressure is to make lots of money, have a big house, a new car, a powerful job, absolutely no free time and an ulcer. We live in a society where it is corporate culture to work 60 hours a week and to be more concerned about bank balance than spiritual balance. Downshifters are often looked down on as “slackers” or seen as poorly motivated. Speaking from personal experience I can tell you that there is a great deal of guilt in working only 30 hours a week. Your friends may be toiling away 60 hours and not have any more than you do. Their car may be a few years newer and they may own a home rather than sharing an apartment, but in the end you both have places to live and cars to drive. There are many material things you go without when you make $15,000 a year. But how much would you pay for a day at the beach surfing with the dolphins and seals? To see the sun set into the ocean with nobody around on Cape Cod in May? Living with roommates can be trying but not nearly as trying as working two more days a week. Many downshifters find themselves living lives that are much enriched with their free time. There is time for community activities like playing guitar and singing with your roommates and friends, having dinner together or going for a cappuccino and to people watch. For those with family members depending on their income, of course, the tradeoffs can be more difficult. Kids are expensive. The clothes, the school, a larger place to live, more mouths to feed. More pressure to work more, make more money! Society tells your kids that they have to have the Levis jeans and the Nike sneakers. In the end what kid would ever look back and say they would trade a day fishing with dad or 100 bedtime stories for better sneakers? The message is one of living simply for less so the intangible riches can be enjoyed. Growing up it was so important to my mom that we have a big yard with woods behind our house so that my brother and I could have a place to play. She worked super hard to attain all those things. I am happy we had horses and new bikes. But I would have grown up just fine with used bikes, no horses, a small house and three more weeks of family vacation every year. Being a downshifter can also be excellent for your career in many ways. Employers are now using more part time employees to keep payroll costs lower. A sales person that works Saturday and Sunday may make 75% of what a full time sales person makes. A waiter that works only dinner hours Friday, Saturday and Sunday may make more than a waiter working lunch and dinner all week. I’m proud of Justin. When people ask what he is doing, some are obviously shocked to find out that he isn’t in a doctoral program at Yale or doing a 90-hour a week residency as a brain surgeon. I have gotten more than one look of covert pity as they size me up and wonder how such an over-achieving mother could have produced such an apparently underachieving offspring. I wish they could understand that Justin lives his outer life in accord with deeply held inner values. He approaches waiting on tables as a sacred act of service- a way to reach out to people and make their days a little bit happier. He finds value in community, in service, in nature. What will happen if those expensive little children ever come into his life? Like the rest of us he’ll have to re-evaluate, to find a new balance. In the meantime I’m doing the very same thing. Those expensive children have now grown up and flown from my nest and I’m seeking a new balance in midlife- exploring the route to downshifting. If we can all live a little more lightly perhaps the earth’s resources will last longer, the collective voice of song will rise again in community, our children will hear more bedtime stories and see less violence on TV and the desert will once again bloom with the realization that the best things in life are free. 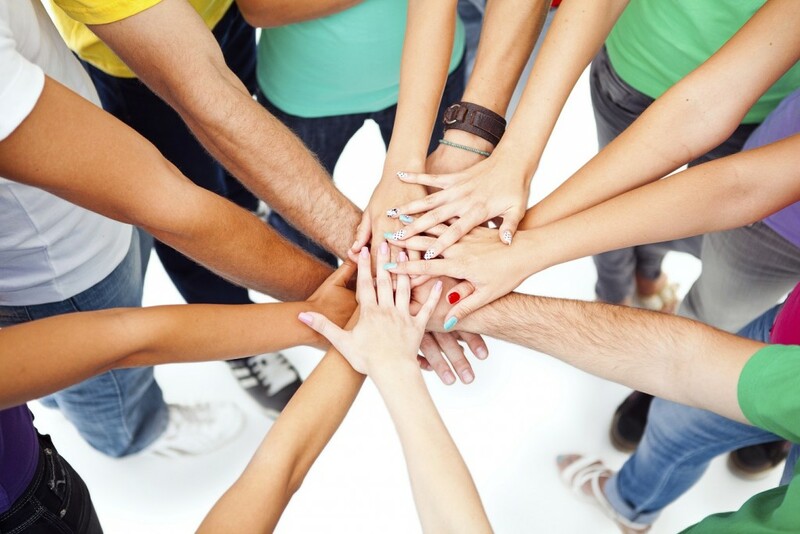 A healthy and positive workplace culture is key to your success as an organization. But how do you cultivate an atmosphere that transforms a random group of co-workers into a team of allies who treat each other as family and motivate each other to always show up and do their best? The answer, of course, is COMMUNICATION. So how do you stop the constant volleying and get people to actually LISTEN to each other instead of only trying to score points? Simple: with a Heart Talk! A Heart Talk is a powerful communication process that creates a safe environment for a deep level of communication to occur – without fear of condemnation, unsolicited advice, interruption, or of being rushed. It’s an incredibly effective way to release any unexpressed emotions that get in the way of people being totally present to deal with the business at hand. And it’s the best way I know to develop rapport, understanding, and intimacy among individuals in a group – and turn apparent opponents into true members of the same team. Most people are so focused on what they’re doing and what’s happening to them, they often don’t stop to think how their words or actions might impact others. Heart Talks encourage open sharing of feelings, giving team members deeper insight into what’s happening in their co-workers’ lives and how their words and actions are coming across. This encourages greater empathy, more mindful communication, and a deeper level of mutual respect in the workplace. When you cultivate an environment of open and honest communication, people are less likely to read implied negative meaning into other people’s words and actions. If someone is having a particularly stressful day and they say or do something that’s thoughtless or impatient, other coworkers will be able to understand that it’s not about THEM and won’t feel hurt or resentful about it. Too often, employees will remain silent about problems they see in a project because they don’t want to rock the boat or be seen as being critical of management’s decisions. This often means that those who are closest to the ground and better able to anticipate problems don’t speak up. By encouraging open and honest communication, you make it safe for employees to say what they really think – instead of what they believe their managers want them to say. This results in less time wasted on bad ideas and more time devoted to bringing successes to market faster. When people open their hearts to each other, they bond at an extremely deep level. That kind of experience motivates you to care for the other person and wish the best for them. A team whose members feel that way about each other can accomplish anything they set their minds to. They understand that a victory for the organization is a victory for all and leads to even better opportunities for everyone involved. And so they inspire each other to aim higher and achieve even better results. People who work in an environment they love, with people they respect and whose company they truly enjoy, know they’ve hit the jackpot. They are very reluctant to leave their awesome job to pursue other opportunities. This allows you to grow a team whose long history together ensures they work like a well-oiled machine, and relieves you of the need to invest precious time, money, and resources into training new employees. Only the person holding “the heart” is allowed to talk. You don’t judge or criticize what anyone else has said. You pass the heart/object to the left after your turn, or say “I pass” if you have nothing to say. You talk only about how you feel. You keep the information that is shared confidential. You don’t leave the Heart Talk until it’s declared complete. Keep passing the heart/object around the circle—multiple times if necessary—to ensure participants have more than one opportunity to share. If you have plenty of time, a Heart Talk completes naturally when the heart makes a complete circle without anyone having something to say. Ask the group to agree to the guidelines, which are very important to make sure that the talk does not deteriorate and lose its value. Because no one is supposed to talk except for the person holding the object, it is often best to wait until the completion of the talk to remind people about certain agreements that need more attention. Another option is to have the agreements written down on paper or a whiteboard and to merely point to them if someone is getting too far off-track. Go around the group at least once—with everybody getting one turn—or set a time frame (say 15 minutes to 30 minutes; longer for more emotionally intense issues) and keep going around the group until the time runs out or nobody has anything more to say. You can use any object to pass around—a ball, a paperweight, a book, anything that can be seen by the other participants. I have seen everything from a stuffed animal (a hospital staff), a baseball (a college baseball team), and a football helmet (a state championship football team) to a Native American talking stick (on a corporate river rafting trip). The structure of a Heart Talk creates a safe, nonjudgmental space that supports the constructive—rather than the destructive—expression of feelings that, if left unexpressed, can block teamwork, synergy, creativity, innovation, and intuition, which are vital to the productivity and success of any venture. Interested in learning more valuable team training skills? If you are responsible for managing, training, and/or teaching others, I encourage you to check out my new Train the Trainer Online program. It gives you all the skills, resources, and methodologies I teach in my Train the Trainer live program – at just a fraction of the cost. You can work at your own pace, on your own schedule, and put my training into practice right away. If you’ve been looking for opportunities to grow your talents as a leader and inspire your team – or your students, or future clients – to be their best selves, this is the solution you’ve been searching for. You can learn more at: Train the Trainer Online. And if you’ve ever used a Heart Talk in your workplace environment, leave a comment below to share your experience with us!